Sid Meier's Covert Action is now available at GOG for $5.99. When it comes to video games, a lot spy-centric titles often just use the premise of being a secret agent as an excuse to throw the player into shoot-shoot-bang-bang action that, generally speaking, has very little to do with what an actual spy might do. If you've ever been interested in a slightly more subtle spy-centric experience however, you may want to swing by GOG today. I say this because the online storefront announced this morning that it has added a new game of the covert kind to its digital library: Sid Meier's Covert Action. 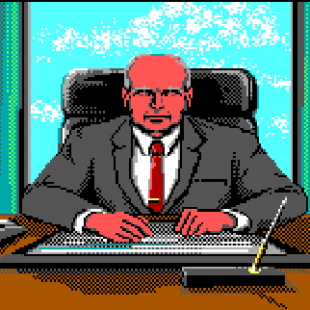 Originally released back in 1990, Covert Action drops you into the shoes of a CIA agent and tasks you with hacking, bugging and sleuthing your way to the bottom of a nefarious randomized plot. Using a variety of skills, players will need to piece together clues and make arrests to take apart the ring of conspirators threatening world peace. The GOG version of Covert Action can be purchased for $5.99 and, like all of GOG's products, will be DRM-free. In turn, if it's a title that interests you but you're not entirely sure whether or not to take it for a spin, swing back to The Escapist this Saturday where we'll be reviewing it in the latest edition of Good Old Reviews.